Recently received a Peace Frogs t-shirt, sweatshirt, loungepant, gift? 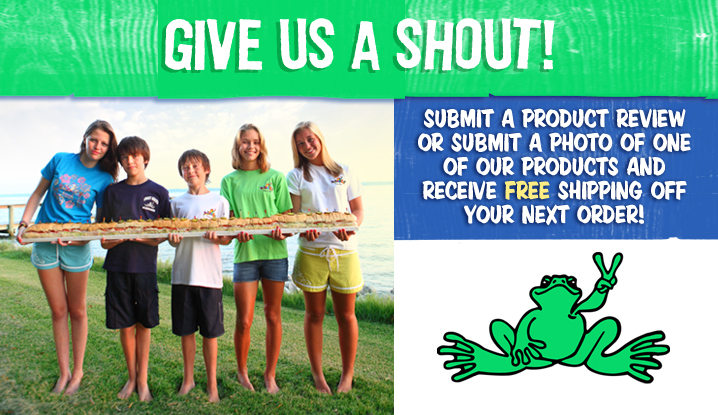 Tell us what you think and we'll give you free standard shipping on your next Peace Frogs order! Just write your own review on any peacefrogs.com product page, or send a pic of yourself wearing Peace Frog stuff to mail.order@peacefrog.org. By sending us your photo, you certify that you have the necessary rights and permissions to make this content available on the Internet, and that Peace Frogs has permission to post this content on our site so everyone can see how much you really dig Peace Frogs. Send us your images or submit a product review and help us spread the Peace!